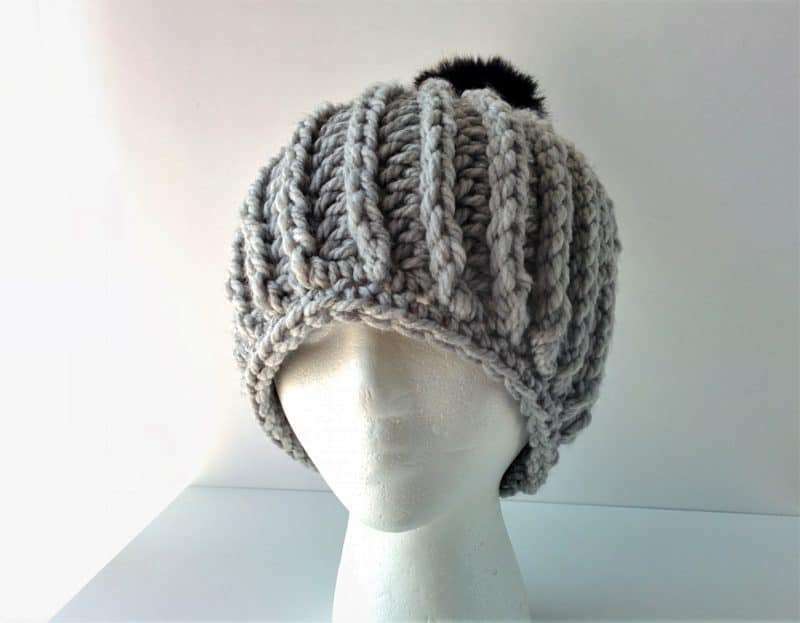 I was thinking about a few different patterns to post today, and although I had some new ones ready to go, I kept coming back to the Chunky Ribbed Beanie I made over the summer. It’s thick and warm, and I can’t get over the looked of the raised ribbing. It’s one of the 12 free patterns in The Beginner’s Guide to Crochet (more on that later), and it was way too hot for it when I released the course in July. 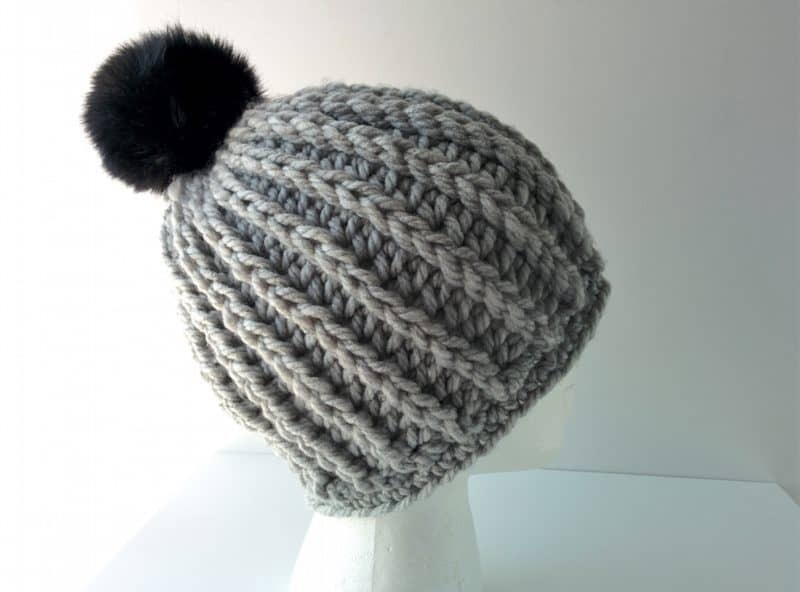 Now that it’s finally cold and snowy here in Chicago, I’m excited to share the chunky ribbed beanie pattern! 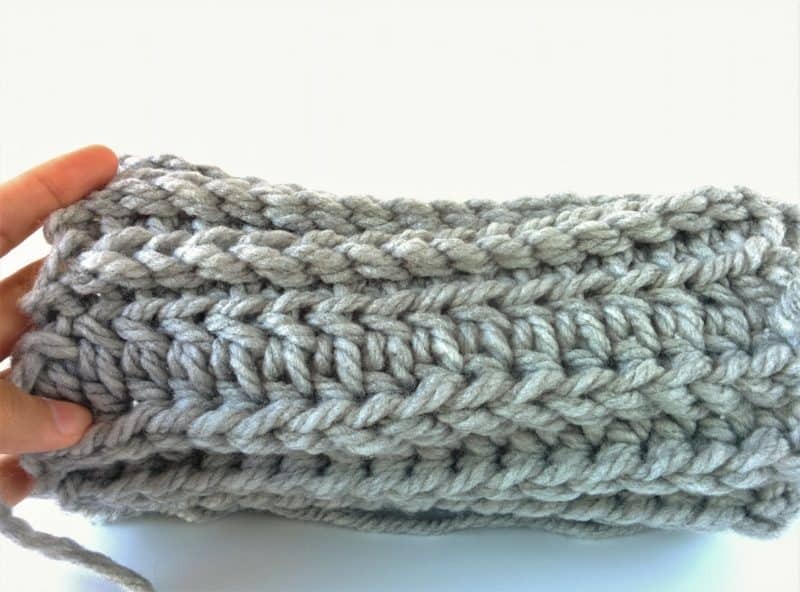 This chunky ribbed beanie is the perfect project for beginners. 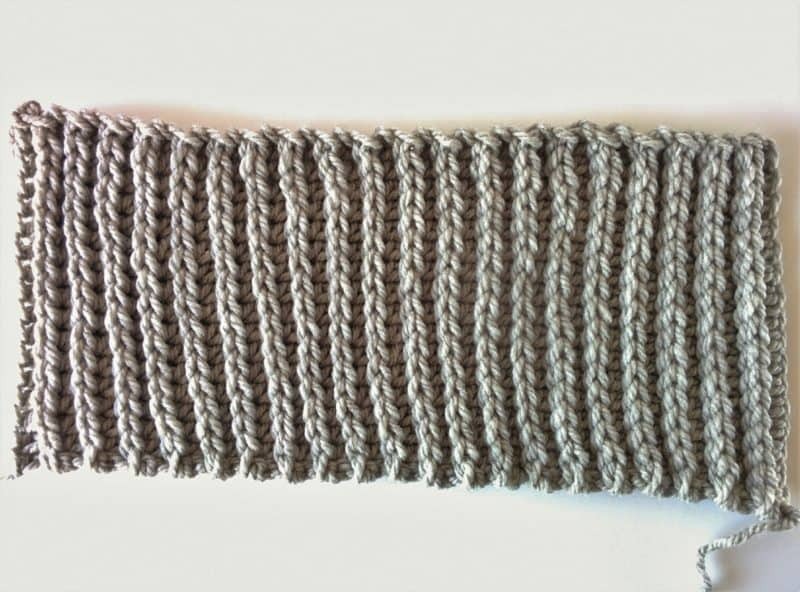 I used only a few basic stitch and worked flat so you don’t have to worry about shaping. Also,the ribbing and the super bulky yarn of this pattern means that it fits all sizes. I know some people don’t really believe that “one size fits all”, and with clothing, I would agree. But this beanie has so much stretch when you need it be larger, AND it shrinks back down when you need it to be smaller, so it really does fit anyone. When I was making this, I wasn’t a huge fan of super bulky yarn. It just felt too big in my hands and my stitches were clumsy. I tried a bunch of other patterns with big yarn, and I realized what the problem was. I was trying to hold and maneuver the yarn the same way as I do with my worsted weights. But because it’s so much thicker, I needed to hold it more loosely and just relax my grip a little. Then the rest was easy and quick! There’s a video tutorial here so you can see how I worked this beanie more loosely than my other patterns. The video tutorial of this beanie can be found right here. 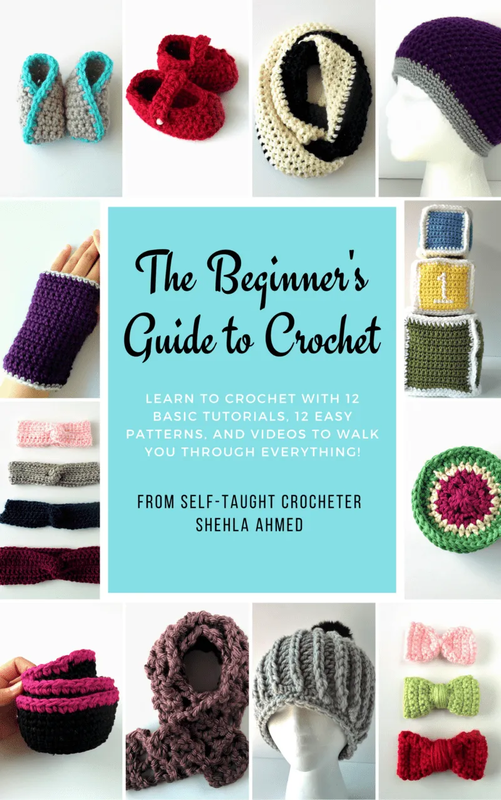 If you’ve already downloaded the ebook I mentioned before, The Beginner’s Guide to Crochet, you know that all 12 of the free patterns in the ebook also come with video tutorials to help you out. 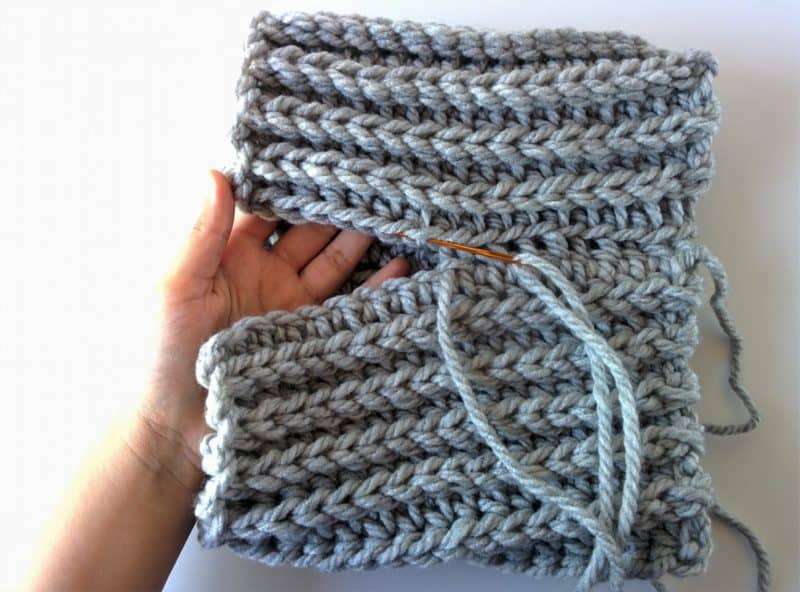 The book is designed to teach beginners who are just starting out, so even if you’ve never held a crochet hook before, you can learn to make this with the help if the ebook. 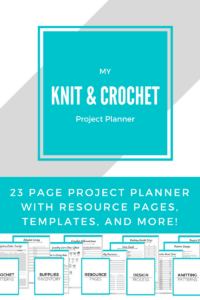 Plus, the ebook comes with tutorials and instructions on basic crochet stitches, techniques, and helpful resources to get you started. 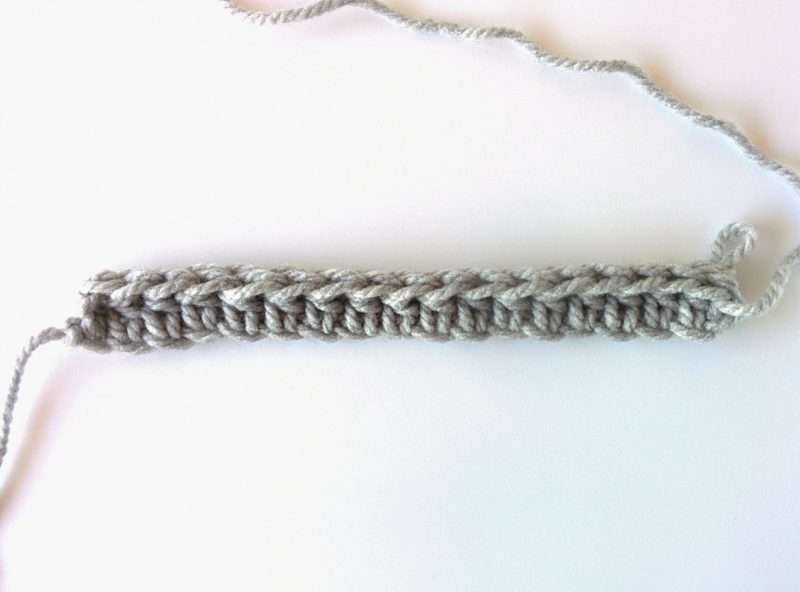 Row 3: Ignore the turning chain, and work into the back loops only. Work 17 HDC into the black loops, then turn. See how that forms the first ribbed section? Now, you’re just going to repeat that for a few more rows. Rows 4-41: Repeat rows 2 & 3 until you have a long rectangle piece. The ribbing pattern should be obvious now, with every other row raised, and it will be slightly slanted. Don’t work about that; it’ll even out after it’s sewn. Feel free to add more rows if you need to make it looser. You should end on an HDC row. Bind off, leaving a long tail to use when sewing it all together. Use the long tail end and a tapestry needle to join the two short sides together. Pull the seam tight, but not so tight that it pinches in. With the yarn still attached, turn to work on closing the top of the beanie. Use your needle to pick up loops along the edge and work all the way around the top. Then, pull the tail gently to start bringing the top to close in. 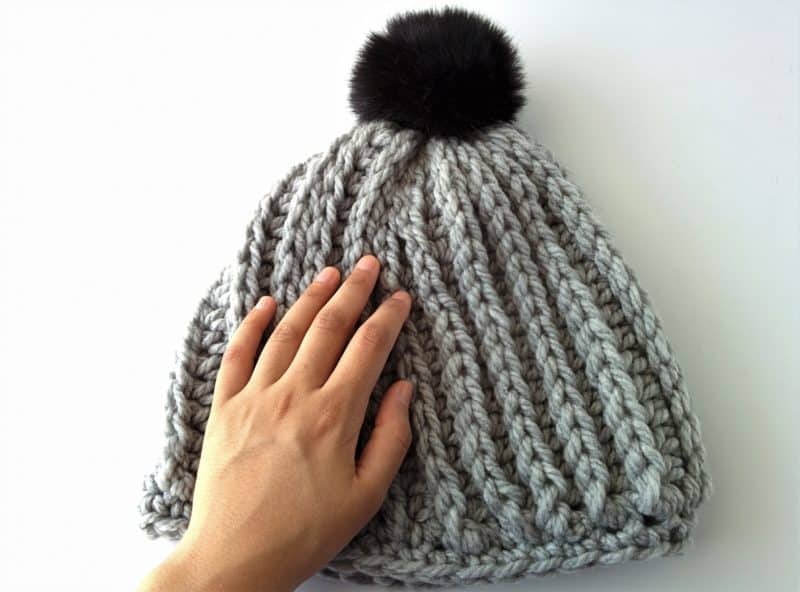 Once the top is almost closed, and being sure not to pull too tightly and pinch the side seam, sew the top of the beanie closed and secure it with a knot on the inside of the beanie. Bind off. To add the pom, use a regular tapestry needle and thinner yarn in the same color. 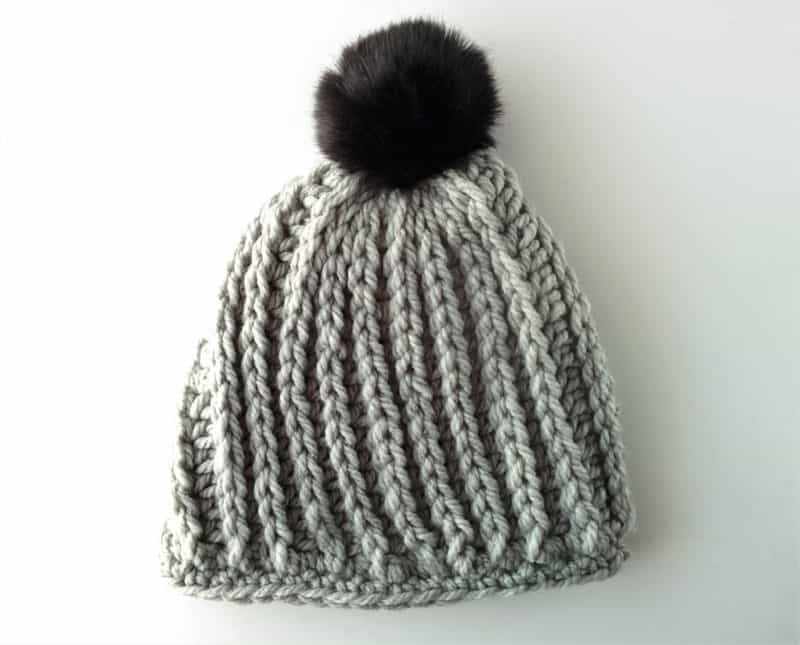 Insert the needle from the inside of the beanie, through the top, and through the center of the pom. You can use the loop of the pom to secure it for now, but continue sewing the pom in place and be sure to go through the center It will be dense, but it helps secure it without wobbling. Once it’s attached, bind off and weave in loose ends. 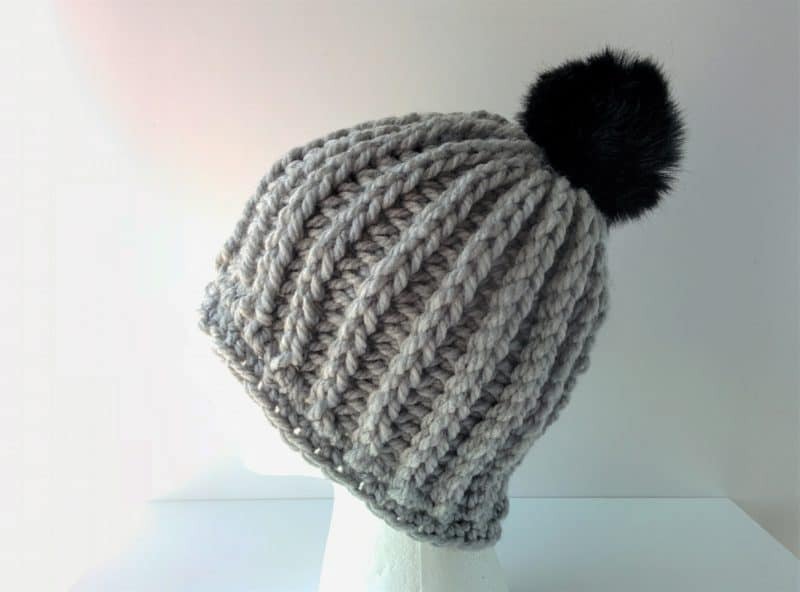 Optional: To bring the bottom of the chunky ribbed beanie in a little, attach a new piece of the super bulky yarn to the bottom edge of the hat. Work 2 rounds of SC around the bottom and bind off. You can just insert your hook into the spaces between the rows. 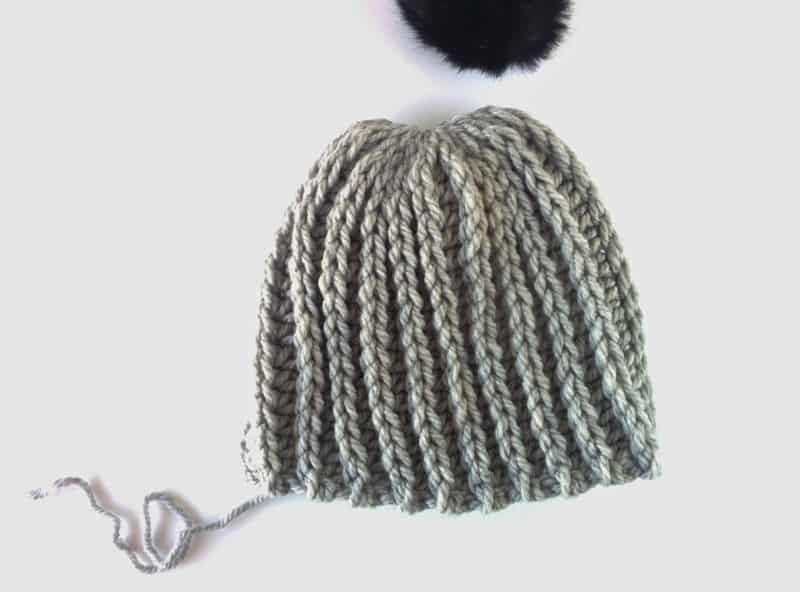 Weave in the ends and trim the excess yarn to finish your chunky ribbed beanie. 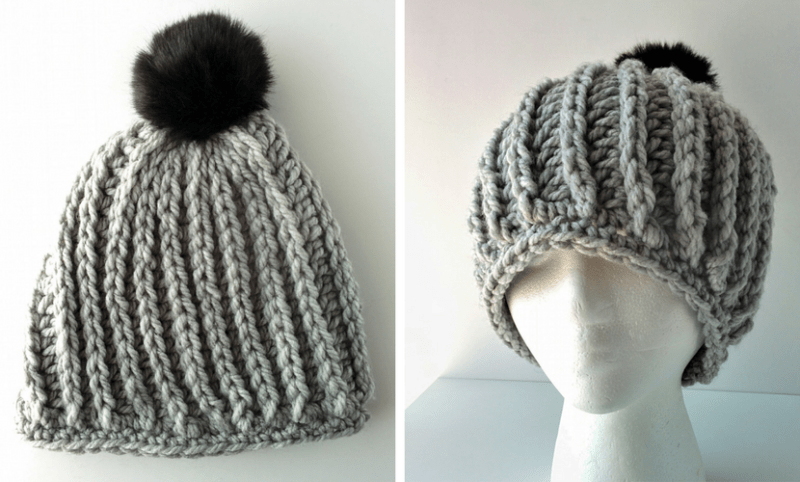 This is one of my favorite chunky beanie patterns and it was so quick and easy to work up. I don’t often work with super bulky or jumbo yarns since I much prefer making toys and accessories with worsted weights. It wasn’t difficult once I learned to loosen my grip on the yarn, though. 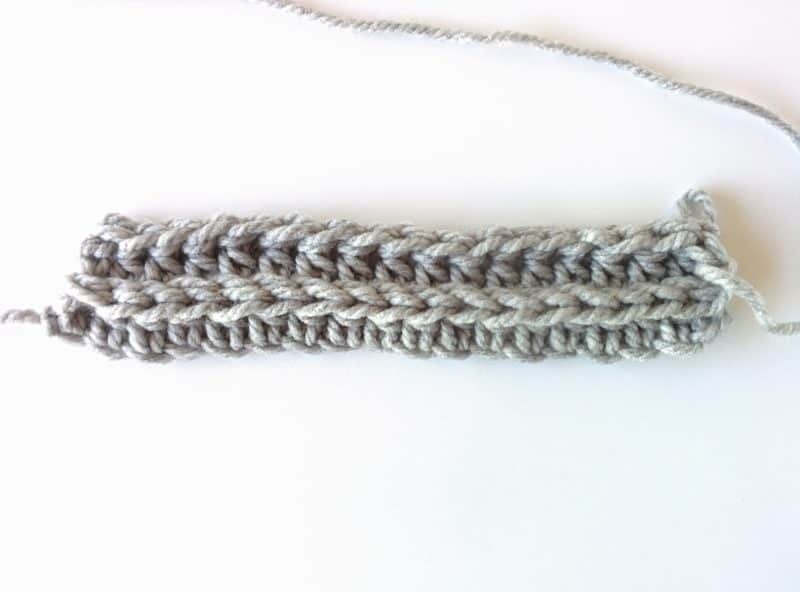 If you find that you have trouble with thicker yarn too, trying holding two strands of worsted weight yarns together. It’ll give you extra thickness, but not so much as a jumbo yarn. 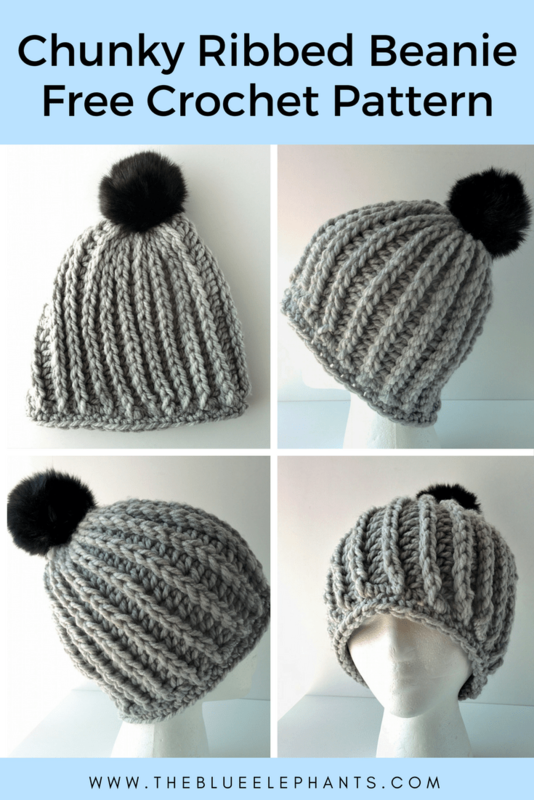 If you liked this chunky ribbed beanie pattern, go grab the free ebook! 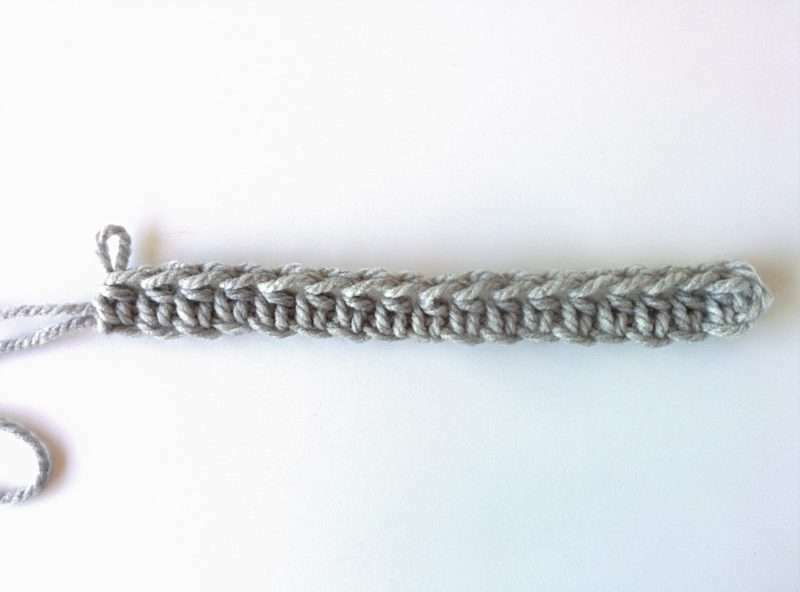 There are 11 other patterns included in The Beginner’s Guide to Crochet, along with 12 tutorials for basic stitches and techniques, PLUS videos of everything so you can follow along step by step. I’ve seen so many awesome pictures shared by people who have used the book to learn and it’s so gratifying to see how many of you love crocheting now! 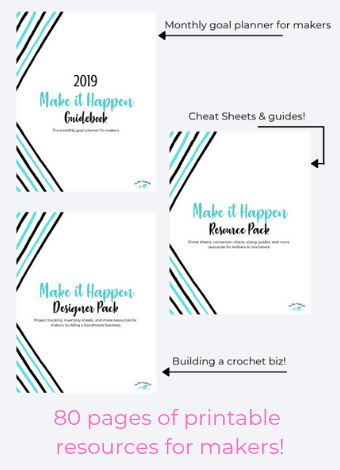 If you want to check out the other patterns for yourself, you can get your copy of the Guide right here. Thanks so much for reading everyone! Let me know in the comments below how long you’ve been crocheting for or what you love to make the most! For me, it’s probably beanies right now, but I also love baby blankets.